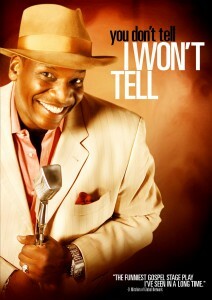 Widely known as the star of numerous stand-up comedy tours in arenas worldwide and headlining at the nation’s hottest comedy clubs, Don “D.C.” Curry’s talents are far more than meets the eye at a single glance. At second glance you’ll see him co-starring in major studio pictures or taking on the duties of leading man in indie feature films. Look again and you’ll see him touring the country as the lead in a hit stage play or serving as the front man of his own R&B and Blues band. Take yet another glimpse (or listen) and you’ll hear him shining as a skilled voice-over artist on hit TV shows like Boondocks. Bottom line, DC Curry is a very versatile, and extremely funny man. The milestones of his colorful career read like a Hollywood highlight reel: In 1995, after prevailing against the top up and coming urban comedians in the country, DC won the coveted title of “Comedian Of The Year” by winning the BAY AREA BLACK COMEDY COMPETITION (of which he is now the perennial host), joining the ranks of famous alumni Jamie Foxx, D.L. Hughley, Chris Tucker, Mike Epps, Nick Cannon and Mark Curry. He went on that same year to be named “Comedian Of The Year” by the BET network (his classic bits from the early years can be seen regularly on The Best of BET’s Comicview. Next, he taped his first television special. By the next season he was hosting COMIC VIEW. After garnering the attention of industry executives, he earned a series regular role on ABC’s Grace Under Fire. DC performed on such popular talk shows as HBO’s critically acclaimed, THE CHRIS ROCK SHOW and THE ROSEANNE SHOW. Demonstrating his versatility, DC hosted Wesley Snipes’/TNT network’s martial arts special, BLADE SALUTES THE MASTERS OF MARTIAL ARTS. In radio he spouted his comedic wisdom on one of Dallas’ top radio stations for five years and he’s been an on-air spokesman for California Energy Conservation. As a film actor and TV personality, he has both “chops” and notable range. 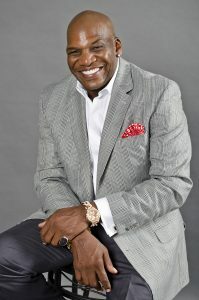 He appeared as Pastor Jones on the NBC sitcom, THE TRACY MORGAN SHOW. He stars as the sadistic gangster in the crime drama, TWO DEGREES. He’s the outrageous Uncle Elroy in NEXT FRIDAY, and the hilarious holiday ‘three-quel’ FRIDAY AFTER NEXT. He was the grumpy boss as a series regular on the aforementioned ABC’S GRACE UNDER FIRE and was an actor/singer, along with Ronald Isley of the Isley Brothers on THE STEVE HARVEY SHOW. He taped, DON “DC” CURRY-NERVOUS BREAKDOWN LIVE! his own DVD/cable TV special and CD that he also co-produced. His cable special, COMEDY CENTRAL PRESENTS DC CURRY, continues to air on that network. He’s appeared twice at both the “U.S. Comedy Arts Festival,” in Aspen and the “Just For Laughs International Comedy Festival” in Montreal. During the winter of 2006 D.C. guest starred on Chris Rock’s hit sitcom EVERYBODY HATES CHRIS and starred in the national touring stage play CASINO along with Kelly Price and his good friend the late, great Gerald Levert. Later in 2006 he also starred in the Gospel musical IF YOU WON’T TELL, I WON’T TELL. That same season D.C. performed to a rousing standing ovation on the return of HBO’s Russell Simmons’ DEF COMEDY JAM. D.C.’s installment was touted by executive producer Russell Simmons, as one of the strongest shows in Def Comedy Jam history. Capping off a very busy fall 2006, he made two appearances on Byron Allen’s new syndicated hit COMICS UNLEASHED. During the winter and spring of 2007, DC was the lead in the hit stage play, YOU GOT ME BENT AND TWISTED, co-starring Jackee, Debbie Morgan and Chrystale. In the spring of 2008, by special request, he graced Washington D.C.’s Lincoln Theatre stage as a special guest on Martin Lawrence’s First Amendment, Stand-Up series on the Starz network. He also made another appearance on Byron Allen’s Comic’s Unleashed. During he summer of 2008 he appeared on BET’s new stand-up comedy strip, One Mic Stand. In the spring of 2009 and summer 2010 he made his first appearances on the hit comedy animation series BOONDOCKS. In February 2011 he appeared on TV One’s Way Black When, their highly popular, annual Black History Month late night variety show. For nearly a decade, DC has been expanding his audience and his range on both sides of the camera. He and his manager, writer/director Tony Spires, produced their own feature film, the gritty, crime drama, TWO DEGREES, in which Curry both stars and executive produces. DC’s latest starring role has been touted as his greatest acting work to date-the dramatic comedy TEARS OF A CLOWN, a feature film which chronicles the rise, fall and redemption of an African American stand-up comic, starring Curry, William L. Johnson, Tami Roman and Spires.